In movies, manipulating digital data always seems way cooler than it is in real life, what with their interactive graphic interfaces and 3D shapes flying all over. Real life will soon catch up, however, with projects like the SpaceTop 3D desktop computer. The computer system would allow humans to interact with digital content in intuitive ways that were never before possible. The system features a transparent LED display and multiple cameras that track eye and hand movements. 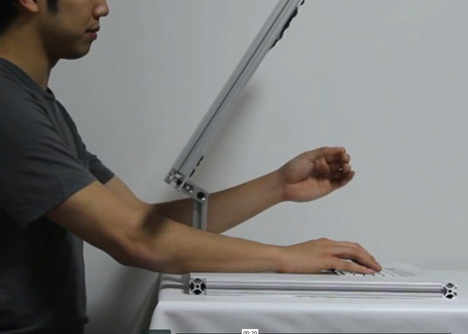 Users’ hands go behind the transparent screen to use the keyboard and navigate as usual. But thanks to the cameras, the user can also reach up to “grab” perspective-corrected 3D graphics. 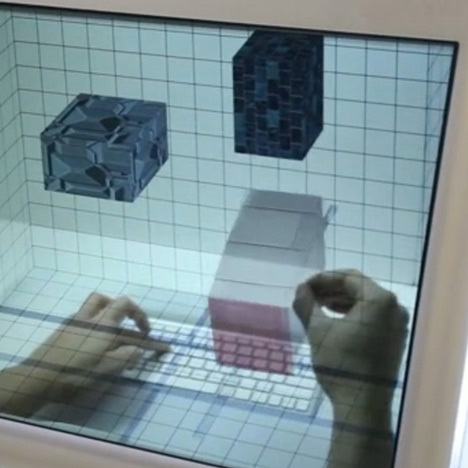 The SpaceTop 3D computer was developed by Jinha Lee, an interaction researcher and PhD candidate at MIT. 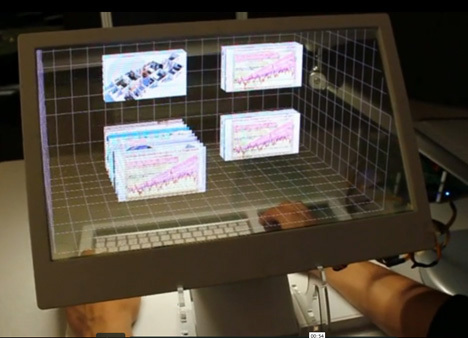 The interaction is novel but intuitive, allowing users to “pick up” and move digital objects, seemingly in mid-air. Although there is a significant drag in the system’s response time that would undoubtedly infuriate users, Lee and his collaborators will surely work out the kinks before this incredible computer finds its way into our homes. See more in Computers or under Gadgets. March, 2013.